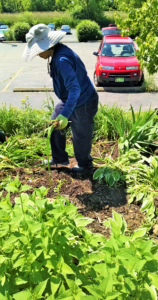 Victory Centre in Bartlett – Spring and fall clean-up of the garden at the Victory Centre in Bartlett which is a complex that includes a supportive living community as well as independent senior living. 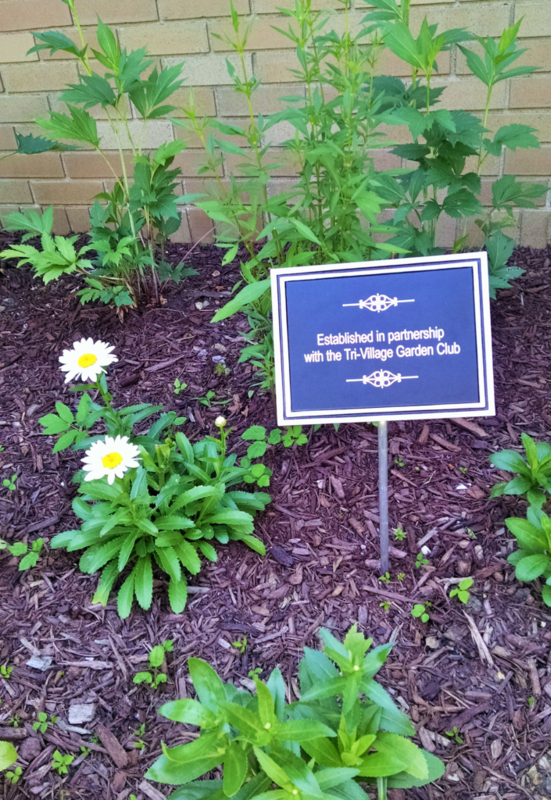 The Bartlett Library – Designed, planted and maintains a new garden in their courtyard. 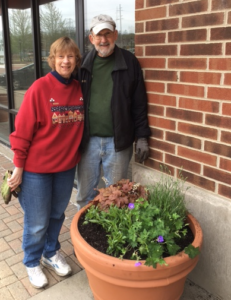 Sue Stocks and Wally Groble planted a new garden in the area that was damaged by recent construction. 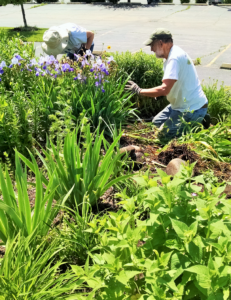 Ralf Woods Garden in Streamwood – Maintenance of a garden that is located in the Poplar Creek library’s parking lot. 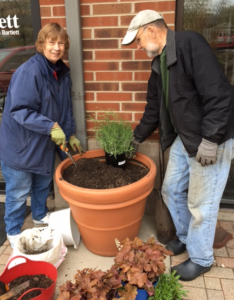 Members gathered after finishing planting the redesigned garden. 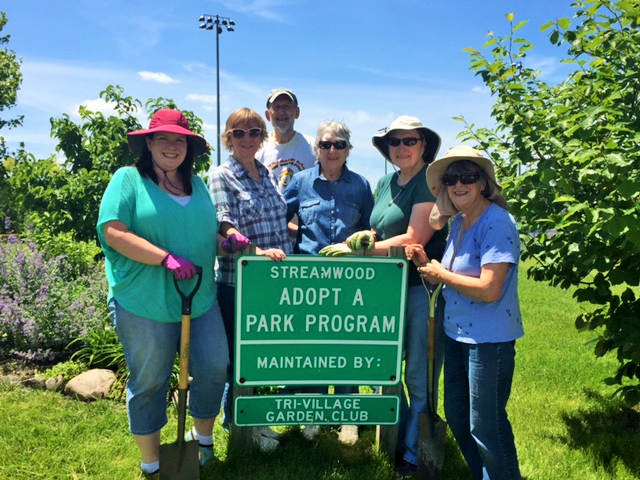 From left to right: Maureen Ernandez, Linda Groble, Wally Groble, Judith Dods, Janice Zastrow and Eileen Lucietto. 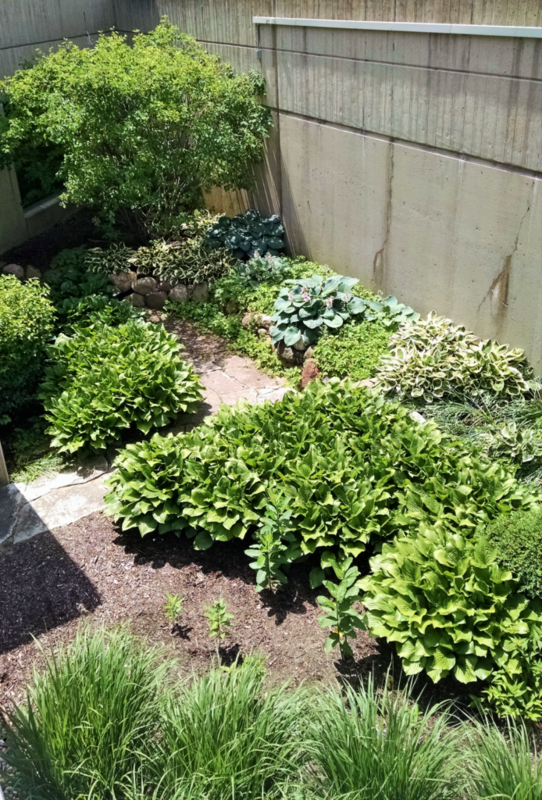 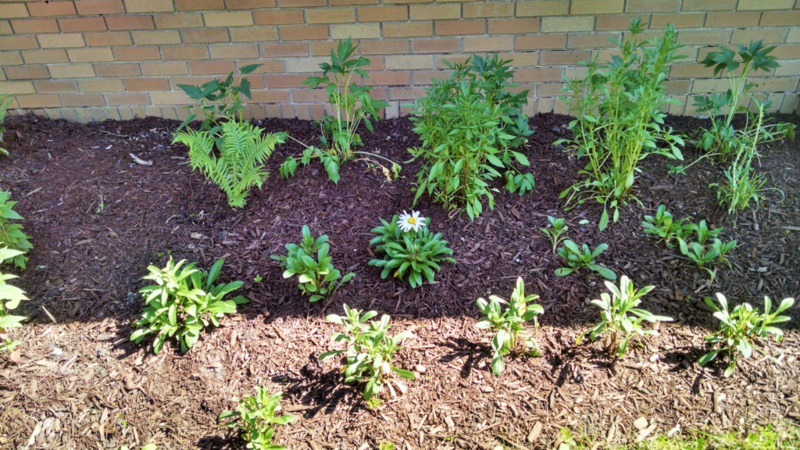 Poplar Creek Library – Maintenance of a garden in the lower courtyard of the library. 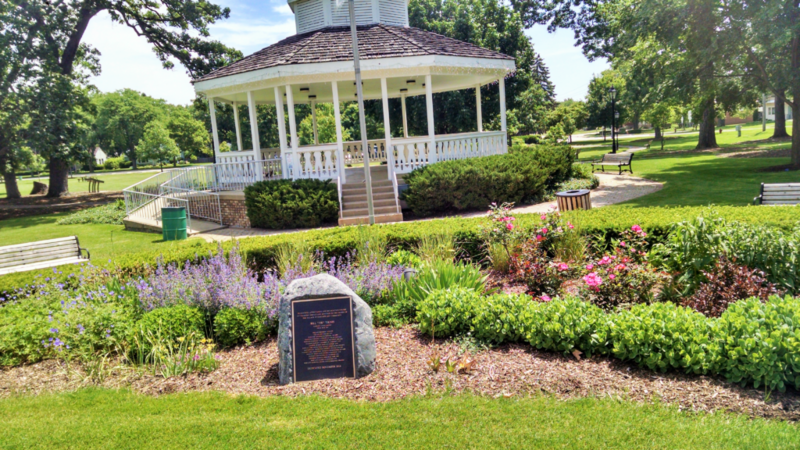 Bartlett Park – Maintenance of the garden next to the gazebo. 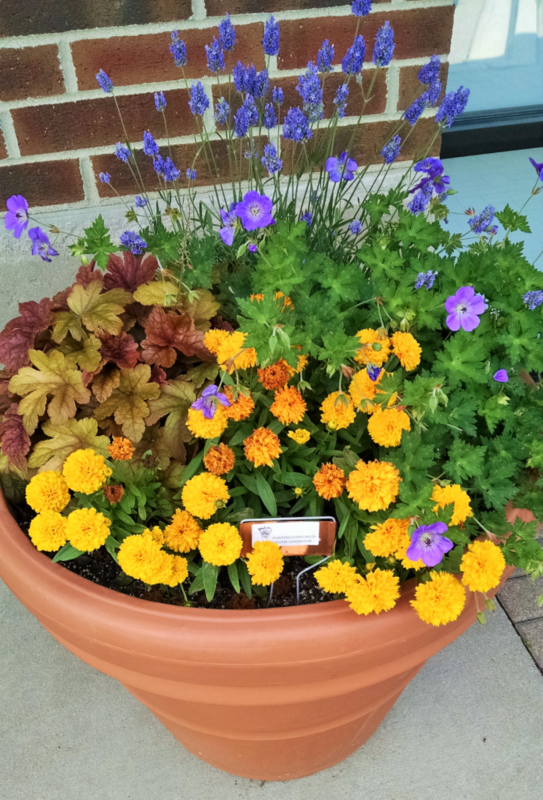 Arts in Bartlett – Planted outside containers at the entrance of this facility.